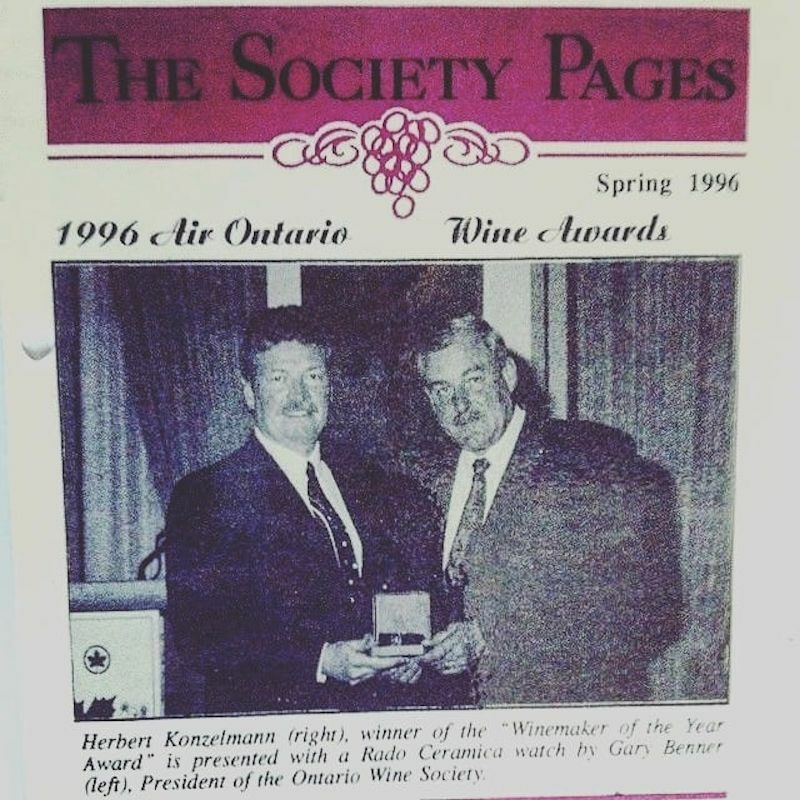 Herbert Konzelmann was awarded as the first ever Winemaker of the Year from the Ontario Wine Awards almost 25 years ago! Recently, Herbert was awarded for Lifetime Achievement from the Ontario Wine Awards to honour his 30+ years as a pioneer of the Niagara Wine Industry! Joe Busnardo, who currently owns Divino Estate Winery on Vancouver Island, planted the first commercial vineyards on the Golden Mile in 1969. Busnardo was one of the first in the South Okanagan to plant European Vitis Vinifera; he’d brought dozens of varieties to try, including some from his native Italy, like the Trebbiano still used to make Hester Creek’s popular single-varietal white wine released each spring. He built Divino Estate Winery on the site in the early ’80s, which he later sold in 1996. He moved to Vancouver Island and re birth Divino winery. 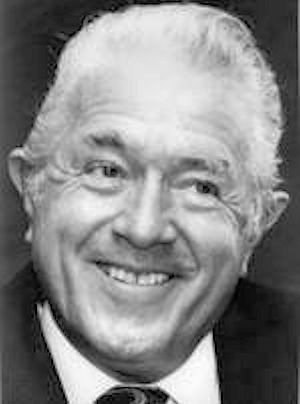 In 1965 a Okanagan businessman named R.P. "Tiny" Walrod led the development of a California interest along with local investors in starting a winery perched on Mt. Boucherie over looking Okanagan lake. There were two separate companies Mission Hills Vineyard Ltd. and Mission Hills Wines Ltd. They would later consolidate into one public company. Walrod passed away before the winery opened. Poor wine and financial problems caused the winery to fail. In 1970 Ben Ginter takes over the winery renaming it Uncle Ben's Gourmet Wines Ltd. He set about trying to match the hot product of the day Baby Duck He came out with Foddle Duck Yellow bird and Hot Goose. However the winery slipped into receivership in 1978. Ben Ginter managed to find the funds to repurchase the winery changing the name to Golden Valley Wines Ltd. In 1981 he sold the winery to Anthony Von Mandl and Nick Clark. Hernder’s Estate Winery officiall opened in 1993 but their history begins long before that. It was Fred Hernder who started it all. Fred purchased the family farm in 1968 outside of St. Catharines, Ontario, and began the acquisition of others. In 1939 his parents moved the family from Germany to the “Grapeview” area of St. Catharines, Ontario, to a mixed fruit farm that included acreage of indigenous grapes.“ His success was heralded when he was crowned as the youngest Niagara “GRAPE KING” in 1977. Forever the entrepreneur, Fred began selling not only grapes & juice, but also winemaking supplies to the growing home market as well as wineries. Leonard PennachettIn 1973 the Pennachetti family acquired its first farmland at Cave Spring on Beamville Bench of Ontario. John Sr. and Len worked to estblish their vineyard. They focused on planting time-honored European grape varietals, and cultivating these vines with a mixture of traditional and modern techniques. In 1978, the Pennachettis were among the first to plant Riesling and Chardonnay vines on the Niagara Peninsula In 1981, recognizing his passion for Niagara’s promising wine industry, Len built a house on the vineyard. “I saw a chance for getting back to the land and creating a place where our family could do something special,” says Len. “Vineyards exist from generation to generation. . Len’s commitment to quality Riesling production is underscored by his recent appointment to the Board of Directors of the newly formed International Riesling Foundation. Hans Buchler, One of the leading organic grapegrowers in the Okanagan, the lean, lanky Buchler farms a seventeen-acre vineyard tucked into a bucolic, pine-covered valley high above Oliver. In Berne, Switzerland, where he was born, his father was a doctor and his mother a teacher. When he finished college, Buchler spent some time traveling before returning to Switzerland and marrying Christine, a nurse. They lived and worked on his father-in-law's organic vegetable farm in the Swiss winegrowing region known by the appellation La Cot, where his interest in grapes and wine began. Land prices being prohibitive in Switzerland, Buchler and his wife emigrated, choosing Canada over New Zealand because Buchler had traveled across Canada in 1976. "I was just overwhelmed by the beauty of British Columbia," he recalls. The raw land they purchased near Oliver was planted to grapes in 1983 after Buchler negotiated a contract to sell the fruit to Mission Hill. They originally planted foch, Okanagan riesling and verdelet, along with only two vinifera (gewurztraminer and white riesling). The Okanagan riesling was the first to be replaced -- with chardonnay, pinot noir and semillon; half of the foch was uprooted later and the verdelet was pulled out after the 1995 harvest, to be replaced by pinot noir and gamay. The remaining foch plants may have gained a lease on life by the return of this variety to favor. As well, Mission Hill has had commercial success marketing an organic foch wine, made from Buchler's grapes. Angelo Pavan partnered with the Pennachetti family 1983 to open Cave Spring Cellars in the picturesque village of Jordan. Guided by Len and the Pennachetti family, and built on three generations of winemaking tradition in the region, Cave Spring is respected as one of the foremost producers of Riesling in North America, and is widely recognized as one of Canada’s finest wineries. Adolf Kruger was one of the most influential pioneers of the British Columbia wine industry. It all began in early 1983 when founder Adolf Kruger purchased a barren piece of land east of Okanagan Falls. Adolf first planted Riesling and Gewürztraminer; he quickly secured a contract to sell the grapes to Mission Hill Winery. In 1949 the entire Kruger family fled the communist regime of East Germany and spent a year as refugees in West Germany. Adolf and a brother came to Canada to work on a wheat farm near Winnipeg. Adolf began designing yachts, a passion that led the Krugers to move to Vancouver in 1964. When the company he worked for began reducing staff in the 1982 business recession. He decided a change was needed. He found it that fall while visiting a friend, grape grower Nick Brodersen, who has a vineyard near Kaleden. In February 1983 Adolf bought his own property south of Okanagan Falls. "It was a terrible place, nothing but sagebrush and cut-down trees and an old gravel pit," he says. "Even though it was a terrible piece of land, the price was right." As he feared, his engineering design job was eliminated in January 1984. By March the Krugers were pounding in the posts to support the vines they began planting that spring. Adolf began company with other winery owners and the BC government to establish Farmgate wineries. Once objective was achieved Wild Goose Vineyards was established in 1991. H he decided his ten-acre vineyard would be planted entirely to vinifera. With white wines then in vogue, he planted only white varieties, Gewürztraminer and Johannisberg Riesling. It was not easy for a small winery to interest buyers in Canadian Wine but Adolf along with his two sons Hagen and Roland became one the best wineries in Canada producing award winning wines year after year. the winery has won more Lieutenant Governor’s Awards for Excellence in Wine than any other Okanagan winery. Dr Helmut Becker head of the German Geisenheim Institute. He traveled to the Okanagan and Ontario advising on which plants would be best suited to the region. In the Okanagan he supplied free of charge twenty-seven Vinifera Varieties for trial in 3 acre test plots running from 1977 to 1985. They included Pinot Blanc, Ehrenfelser, Müller-Thurgau and Riesling. These trials became known as the Becker Project . In Ontario he worked with Paul Bosc. 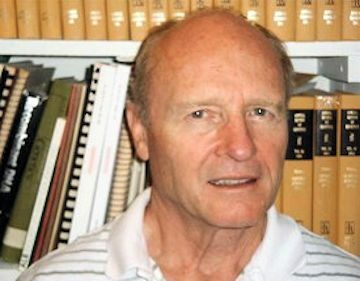 Dr. Becker collaborated with numerous scientists around the world and encouraged the importation of important clones and varieties in New Zealand, Canada, Australia, Japan and other countries. 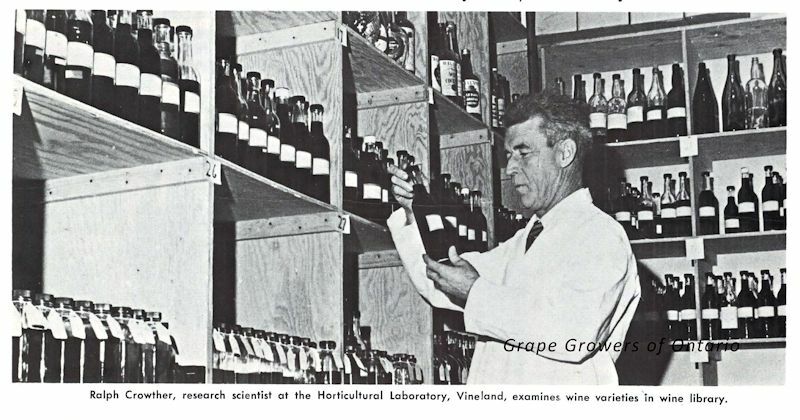 He did early important work in Neustadt/Weinstrasse during the 1950s and 1960s in the European phylloxera eradication program. Ewald Reif first visited the Niagara region in the 60's He like what he saw and purchased land in 1977. He began uprooting the existing vines native to Ontario and began replacing them with premium vinifera varietals; such as Riesling, Chardonnay and Cabernet Sauvignon. By planting the finest Vitis viniferavarietals alongside French hybrids, Ewald's role was that of a pioneer in the Niagara wine industry. Gradually he expanded the acreage of his vineyard, eventually growing to a 125-acre farm. Ewald continued planting vines and opened the retail store in 1983. The winery was sold to Klaus in 1987, with Ewald staying on as vineyard supervisor. Dr. Joseph Pohorly was one of the first winery owners in Niagara. He founded Newark Winery in the Village of Virgil in 1979, one of the three original cottage wineries that opened in Niagara in the '70s and laid the foundation for the growth of the new Ontario wine industry. Joseph himself was no stranger to wines. Born in Vineland, Ontario, he began life as a farmer's son and learned how to grow grapes and other fruit crops from an early age, gaining an appreciation and knowledge of the land, of our geography and climate, and of the unique characteristics that make this viticultural area special. He was among the first to make icewine in Ontario. Walter Strehan founded Pelee Island Winery 1979 . He was among the first to make an icewine in Ontario. In 1983 he brought in tenting for his vines. Although it was not a total success. The tenting trapped birds and upset the Ministry of Natral Resources. He did salvage enough grapes to make icewine. He sold some to LCBO who sold the wines for $12.95. Sells were bad so the renaming bottles were returned to winery. Walter shipped them off to USA and they sold well at $100. Gary Strachan began is career as a researcher/winemaker at Tthe Summerland Research centre in 1977. Sal D'angelo is the first individual grower-vintner to produce wines in both Ontario and British Columbia. In 1979, Sal D’Angelo began his search for the land in Ontario on which to plant his vineyard. As an accomplished amateur winemaker, his ambition was to start his own winery within the heart of Essex County, in Southern Ontario. In 1984, he bought fifty acres in Amherstburg, just south of Windsor. Later, during that auspicious year, he planted his first acre of grapes. Today, the magnificent vineyard covers forty-two acres of the fifty-acre property. Anthony Von Mandl 1981 bought his first winery. He would name it Mission Hill Family Estate wineries. It would become one of the most successful Canadian Wineries. Today the VMF Estates, a holding company established in 2014. also owns CedarCreek, CheckMate Artisanal Winery and Martin’s Lane. Also see Companies. Mr von Mandl also owns Mark Anthony Brands and operates at least nine other wine brands, including Ganton & Larsen Prospect Winery, Fork in the Road, Mike Weir Wine and Painted Turtle. Dr Hilary Rodrigues, a practising dentist to this day, began experimenting with old, traditional Newfoundland recipes for making blueberry wines in the early 80's. His vision of opening Newfoundland’s first winery was realized in 1993. The winery is located in the former The Markland Cottage Hospital that was built in 1935 and was one of 19 cottage hospitals built in Newfoundland and Labrador to serve rural communities. Markland Cottage Hospital was designated a Registered Heritage Structure by the Heritage Foundation of Newfoundland and Labrador in 2007. Leo Gebert is the President and Owner/Operator of St. Hubertus Vineyard. He is also a past Director of the BC Grape Grower Association, BC Grape Marketing Board and BC Wine Institute, a past member and chair of the Agriculture Advisory Commission- City of Kelowna (until 2014), and Director of the BC Wine and Grape Council. The Regional District of Central Okanagan has appointed Leo Gebert to the Agricultural Advisory Commission. He will serve a three-year term through August 2019.The Agricultural Advisory Commission provides advice to the Regional Board, other commissions and staff regarding agricultural issues and the potential impact of land use and planning decisions on agriculture. Andy serves as director on the Okanagan Wine Festivals board. St Hubertus Estate Winery is one of the only wineries in British Columbia producing Chasselas. In 1982, PAUL SPECK (sr) , his wife Bobbi (Barbara) Speck and his family purchased and rented lands in St Catharines, Ontario to commence the growing of grapes. Some time around 1985 or 1986, Paul purchased Lot 5, Concession 8, Louth Township, on which an inn Henry Smith Tavern named was located and commenced the restoration of the buildings and the operation of the Henry of Pelham Family Estate Winery. The winery was established with the aid of his three sons Matthew, Daniel and Paul. Paul Sr passed away around this time. Paul JR was only 22 when he started the winery officially in 1988 The following year he produced his first icewine. The winery opened in 1988 using the former carriage house built by Henry of Pelham in 1842. Paul T Speck In 1989, Paul became President of Henry of Pelham Winery and set it on course to become a 75,000-case per year producer of fine Vintners Quality Alliance (VQA) wines. 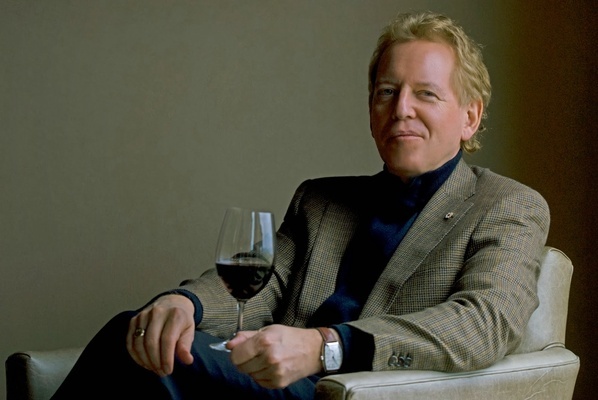 Paul is a founding director of VQA, and continues to play an active role in promoting and developing the premium wine industry in Niagara and Ontario, as current Vice Chair of the VQA, former Chairman of the Wine Council of Ontario, and as a former director of the Canadian Vintners Association. Paul received his BA from St. John’s College, Annapolis, Maryland in Classical Philosophy (with Mathematics as a minor). Matthew E. Speck, Viticulturalist began work at Henry of Pelham Family Estate Winery in the early 1980s. He planted, posted, wired and grew 65 acres of vinifera and vinifera hybrid vineyards along with brothers Paul and Daniel. Beginning in 1992, Matt assumed the role of Viticultural Manager and Vice President at Henry of Pelham Winery, and has continued to develop the vineyards into some of the finest in Niagara. His viticultural work was recognized when Matt was named Grape King at the Niagara Grape & Wine Festival of 2000-2001. Matt was educated at St. John’s College, Annapolis, Maryland (BA, Philosophy and Mathematics double major) and Annex Village Campus in Toronto, Ontario. Daniel Speck, Sales and Marketing Daniel is co-owner and one of three brothers who as children shovel planted the modern-day vineyards that became Henry of Pelham Family Estate Winery in Niagara’s Short Hills Bench. 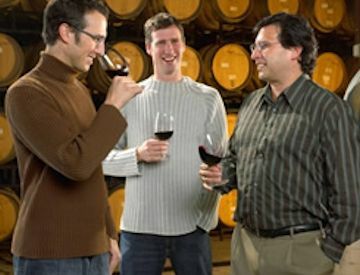 The Speck brothers founded the winery with their parents, a family venture which began in 1984. Daniel spent the years from age 8 to 22 in the vineyards. He studied philosophy, math and science at St. John’s College in Annapolis, Maryland, then returned to work on the farm/winery upon graduation. After fourteen vineyard-years he migrated from the farm to the marketplace when a key sales person left the company. Today he is Vice President, Sales and Marketing. Daniel actively promotes and sells his family’s wines while still participating in determining each wines final composition with his two older brothers and the winemakers. Werner Rosswog arrived in Canada from Germany in 1983. His family would become a catalyst for a new industry in their adopted province. Winegarden Estate was the first fruit wine-distillery in Atlantic Canada. Forging a new industry where none existed before was not easy, but through tenacity and perseverance, the owners of Winegarden Estate paved the way for future growth of agri-tourism in New Brunswick and opened doors previously closed to the cottage wine industry. 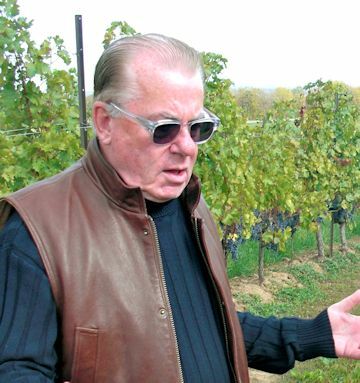 Bill returned briefly to Ontario managing Charel Winery and Vineyard founded by Alan Eastman near Blenheim in Ontario. Charel Winery was where he met and worked with Ron Giesbrecht who today is the winemaker at Henry of Pelham. In 1989, Bill returned to British Columbia as the vineyard manager at Covert Farms and during this time bought the land for his own vineyard. He worked at Paradise Ranch which is now See Ya Later Ranch for two years as the vineyard manager. In 1993, Bill planted his vineyard in Oliver and in 1997his first commercial wines were produced. From 1998 to 2002, he taught the viticulture course at Okanagan University College to finance his vineyard. In 2000, he opened the tasting room at the winery Fairview Cellars. In 2002,Bill was able to fulfill my dream of working full-time on my own vineyard. He is a master of Cabernet Sauvignon. Joao (John) L. De Sousa Though he started as an investor and property owner with a background and education in jewellery arts – goldsmithing, ultimately his business was sold to a larger chain in 1993. Mr. De Sousa also founded De Sousa Wine Cellars in 1988 and opened a full winery operation and retail store (De Sousa Wines Toronto) in downtown Toronto. Mr. De Sousa founded De Sousa Investments in 1998 with real estate holdings in downtown Toronto, Oakville, Niagara Peninsula and the United States. In 2008, De Sousa Wine Cellars and De Sousa Wines Toronto were both sold to Lakeview, while Mr. De Sousa retained his personal vineyards and became a shareholder of Lakeview. Mr. De Sousa currently operates De Sousa Vineyards, a 40 acre vineyard in Niagara supplying quality fruit to Niagara wineries, along with real estate holdings, De Sousa Investment Group. In 1989, Ben and Ruth Stewart founded Quails’ Gate Winery and began the family’s transition into the winery business. Over the next two decades the entire family joined together in the pursuit of making Quails’ Gate one of Canada’s foremost producers of premium VQA wines. Pascal Marchand first worked Canada's vineyards with the opening of Le Clos Jordanne. The winery was all about winemaking techniques used in Burgundy, France. Pascal worked for one of Frances biggest wineries Boisset. 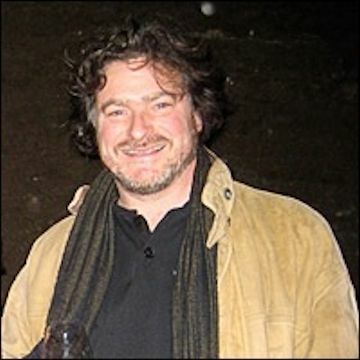 Pascal Marchand, a Quebecker, came to Burgundy in 1983. He then fulfilled his dream of becoming a renowned wine grower. He traveled around the word sharing his knowledge. He worked as a consultant at Tawse, Estate winery and co- found with Morey Tawse, Marchand-Tawse in Burgundy France. Wine must reflect the earth that has nourished the vine-stocks. Just like man, wine must not forget its roots! A vine's roots become particularly long and deep if we let them develop naturally. And “Naturally” is the key word. Cipes Family It began in 1968 when Stephen Cipes ( a New York developer) first visited the Okanagan . Stephen believed he had found the unique conditions to produce "intensely flavoured small grapes"--the perfect base for sparkling wine. He proceeded to bring grape clones from France and "personally planted them on my hands and knees." This was the start to "Canada's most visited winery" Summerhill Vineyard and the winery that became know as Summer Hill Pyramid Winery. His vineyard practices were simple follows organic growing practices. No herbicides or pesticides "keeps the lake clean". His business practices "We love to be hosts. We want people to feel genuinely welcome in our home," he says. "I try to empower my employees to exude that love." Stephen was winner of the prestigious Ernst and Young Entrepreneur of the Year Award. His sparking wins have won in numerous French Competitions. He claims as his best Accomplishments "My four sons are accomplished, fun-loving, warm-hearted people. That's the best thing a dad could have." Gabe Cipes makes and sources the nine biodynamic preparations applied to Summerhill Vineyard and has successfully led the transition to Demeter Certified biodynamic status. Ezra Cipes was five when the family moved to Kelowna He is now the CEO of the winery. Recently Ezra has taken a leadership role in the BC wine industry as a director of both the CVA and BCWI, and the Chair of the BC Wine Appellation Task Group that tabled its recommendations in November, 2015. Hans Buchler and his wife Christine came to the Okanagan in 1981 from Switzerland, where they operated an organic market garden. They planted grapes in 1983 and became members of SOOPA (Similkameen Okanagan Organic Producers Association) in 1990. Hans has been a member of the board of SOOPA for many years and is past president of the COABC (Certified Organic Associations of B.C.). He was a driving force behind the B.C. Wine Grape Council and was instrumental in turning the B.C. Enology and Viticulture Conference into the third largest of its kind in North America. 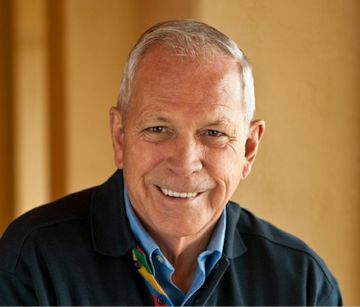 He was a founding member and president of the Certified Organic Association of British Columbia, has been a major contributor to the National Wine Standards and the Canadian Grape Wine Research Strategy and has sat on many other boards and committees. He was presented with 2011 Award for Excellence in Leadership, presented by the B.C. Agriculture Council, of which he was board member for four years. They own At Park Hill Vineyards, near Oliver in the South Okanagan Valley, we grow about seventeen acres of organic wine grapes. One quarter of the acreage is planted to French hybrid varieties (Foch and Verdelet) and the rest are all European vinifera varieties (Chardonnay, Pinot Noir, Gamay, Riesling, Gewuerztraminer and Semillon). 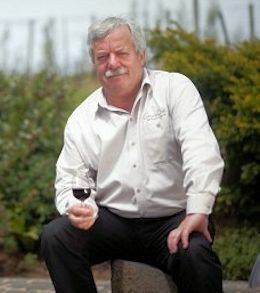 Eric von Krosigk in 1991, founded Summerhill Estate Winery in partnership with Stephen and Wendy Cipes. After successfully building the winery and producing many award winning wines, Eric left to pursue new challenges and achieve success in building and rebuilding numerous wineries and vineyards. In 1994 Eric joined LeComte Estate Winery (now known as Hawthorne Mountain Vineyards) as Winemaker and General Manager, completely rebuilding the winery operations and implementing new practices in winemaking, pruning, irrigation and marketing. Within one year the winery received more than 90 medals and four trophies from local and international wine competitions Along the way he has helped to create many thriving wineries such as Red Rooster, Adora Estate Winery, and Victoria Estate Winery (now Church and State) before returning home to Summerhill in 2006, where he successfully transitioned the cellar to achieve certified organic status, and where he is considered one of the Cipes brothers. Mark Wendenburg A well know figure in the BC wine industry for the nearly two-decade role he played as winemaker at Sumac Ridge Estate Winery. Mark Wendenburg’s career in the wine industry began in 1980 when he and his father, Chris Wendenburg, planted their first vineyard on their Penticton property. Their Pinot Blanc vineyard is still a strong producer today, 30 years later. This first foray into the wine industry awoke Mark’s lifelong passion for viticulture and oenology. After Wendenburg’s introduction to viticulture with his father in their vineyard, he began an apprenticeship in West Germany in the Rheinhessen region in 1982, working and studying at Weingut Geil and later in south Baden, at Schlossgut Istein. Following his apprenticeship program, Wendenburg attended the Bavarian State Institute for Viticulture and Oenology in Franconia, Germany, earning his Diploma in 1987. He returned to the Okanagan and began working at Brights Wines, now Vincor, in Oliver, British Columbia, to work in the cellars and laboratory alongside Lynn Stark and Frank Supernak. In the late spring of 1992, Harry McWatters and Bob Wareham asked Wendenburg to join Sumac Ridge Estate Winery in Summerland. 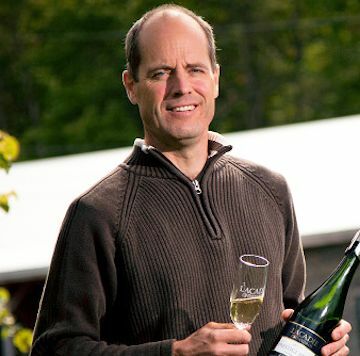 During his tenure at Sumac Ridge Mark was responsible for creating 24 wines annually, including two of Canada’s largest VQA brands, the Sumac Ridge Private Reserve Gewürztraminer and the Steller’s Jay Brut sparkling wine. Wendenburg stayed with Sumac Ridge for nearly 18 years, acting as both winemaker and senior winemaker until May 2010. 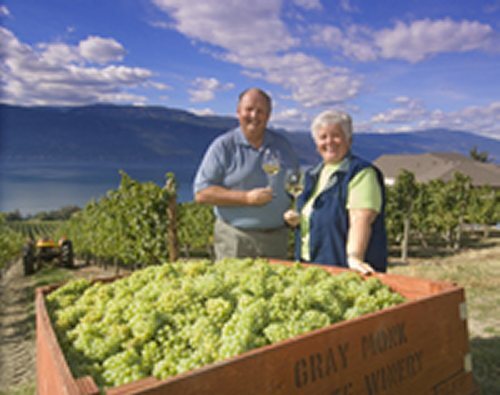 Walter and Gordon Gehringer are native British Columbia's; they prepared for their winery by studying in German wine schools. Walter was the first Canadian to graduate from Geisenheim University, while Gordon graduated from Weinsberg, Germany's top wine school. 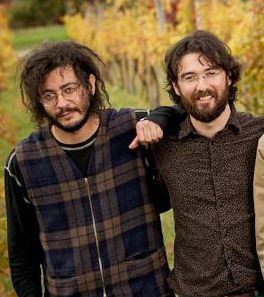 They are the second generation with their father Helmut and Uncle starting the Oliver vineyards. The winery opened in 1986, it specialized in Germanic whites, notably Riesling, and in icewine. Gehringer Brothers bought more vineyards, planted Bordeaux and Burgundy varieties, and added a reserve label, the Optimum Series. 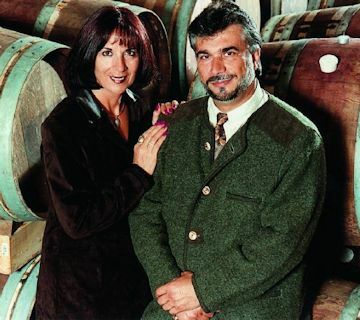 Gabe and Roseanna Di Zio Magnotta founded their winery in 1989 selling directly to consumers. The LCBO denied them shelf space so they had no chose but to sell their wines direct to the public. They mortgaged their home and opened a store location on Cidermill Ave in Vaughan. News media liked the story and also stated their wines were good. Sells blossomed and Gabe and Roseanna opened 6 more stores. They were among the first in Canada to use art work on their labels. With their success they purchased a vineyard in Niagara and opened a winery in Beamsville. They began producing icewine becoming a leader in this area and began producing sparking wines. In 1996 they produced the first sparking Ice wine. The won the first Sparking ice wine award at the Vinitaly Competition in Verona. They also produced Enotrium, Canada’s first Enotrium -inspired red wine. Today the family owns 180 acres of prime vineyards. In 2100 they Launched ,G. Marquis a collection of high-end table wines and ultra premium Icewines. In 2013 they purchased the assets Kittling Ridge. Roseanna Di Zio Magnotta winemaker, and author. She wrote a winemaking instructional book in different languages and gave it away for free. Once the book took off, the men started to come around asking to speak to La Signora about their homemade wines. Rossana has also been passionate about healthcare. A long time supporter of Toronto hospitals, foundations and charitable organizations, she has launched the G. Magnotta Foundation for Vector-Borne Diseases to help establish Canada's first research facility to study Lyme Disease and eventually other vector-borne diseases. The research will lead to better testing and treatment for Lyme Disease patients in Canada. Christian Barthomeuf French-born vintner who immigrated to Canada from the Provence region of France in 1974. 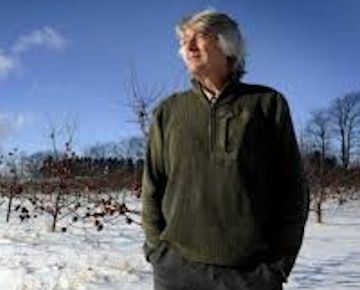 He is the pioneer and creator of ice cider, a Quebec-born specialty, with over 40 producers, that is rapidly gaining recognition throughout the world. He established the winery Domaine des Côtes d’Ardoise, near Dunham, in the Eastern Townships. Domaine Des Cotes d’Ardoise, the oldest commercial still exploited vineyard in Quebec. 1981 : First plantations of Marechal Foch, Seyval Blanc and Pinot Noir. In 1989 he bottled his first ice cider, Pomelière using apples from a neighbour’s orchard. He continued producing ice cider until 1991 when he left the Domaine des Côtes d’Ardoise, at which time other cideries began to seek out his expertise. He collaborated with three other producers over the next 17 years, developing their ice cider production. Two of these, La Face Cachée de la Pomme and Domaine Pinnacle, are the two leading producers of ice cider in Quebec with 80% of the market, each producing some 300,000 bottles a year, in comparison to Barthomeuf’s 9,000 bottles a year. 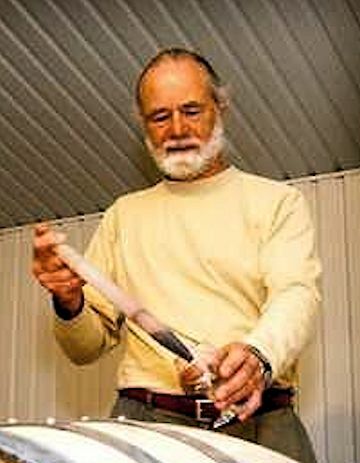 François Pouliot, the owner of La Face Cachée de la Pomme, in Hemmingford, considers Barthomeuf a genius in the concept of ice cider production. 2002 Barthomeuf bought an 86-acre orchard in the apple producing region of Frelighsburg (90 kilometres southeast of Montreal), which he named Clos Saragnat. 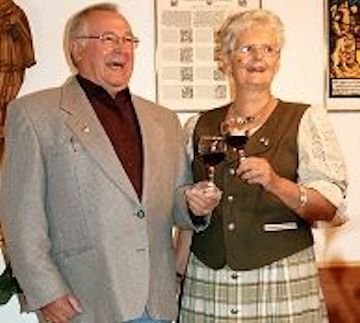 Hans and Hazel Nevrkla founded Larch Hills Winery. 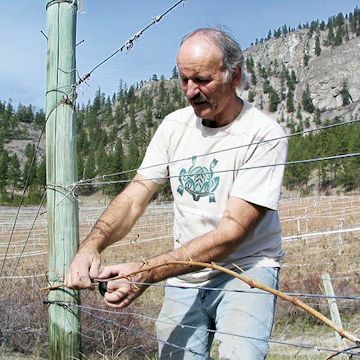 They planted their first vines in 1990 on the south-facing slope of their property overlooking the North Okanagan Valley near Salmon Arms BC. Much experimentation resulted in planting of specialized cool climate varieties such as the German Ortega and Siegerrebe, and the French Madeleine Angevine and Madeleine Sylvaner. They won nunerous awards and created some of best Ortega wines ever produced in the province. 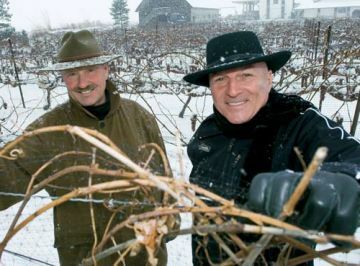 After selling the winery Hans continued to help other in the northern parts of the Okanagan. 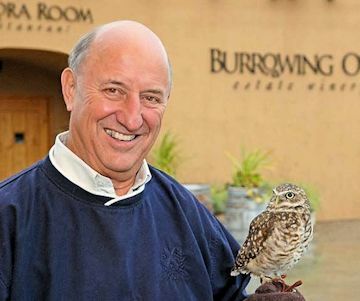 James (Jim) Wyse founder of Burrowing Owl Vineyards. in 1993, Jim was introduced to some relatively inexpensive and abandoned vineyard land south of Oliver that was then being offered for sale. He wisely bough the land. He knew very little about growing grapes and running a winery He did however higher the right people; achieving amazing success. Today the winery has a restaurant and a hotel. With its dramatic vantage point in the middle of the vineyard, Burrowing Owl Estate Winery is a winemaking facility that combines state-of-the-art technologies with proven, classic winemaking traditions. A gravity-flow system handles ripe grapes delicately, preserving their rich fruit character. Extensive underground cellaring capacity ensures that long term barrel aging is never limited by space. 1994 Ms. Linda Franklin became the President of the Wine Council of Ontario, where she directed a multi-million dollar marketing campaign for the domestic wine industry and developed a strategic plan for the sector. In 1996 the wineries were allowed to ship directly to restaurants and keep their profits. She held the post for 14 years. John Rossignol left his home in Ontario in 1990 moving to Little Sands PEI. He opened the first winery in Prince Edward Island in 1995. among Rossignol’s first undertakings was to get the local community and all levels of government on side with his novel business proposal to grow grapes and make wine. Rossignol now produces up to 40,000 bottles a year. His wife, Dagny Dryer Rossignol, is an artist and oncologist who designs the bottle labels. Bruce was born and raised in British Columbia. He obtain Bio-Resource Engineering degree from UBC before obtaining a post with Andres Wines. At Andres he was taught winemaking and took courses from UC Davis. He worked vintages in Sonoma, California and Padthaway and Hunter Valley, Australia (as he says, “a must experience for any winemaker, ”). After that, he returned to the Okanagan Valley to be winemaker at Hawthorne Mountain for five vintages and at Summerhill Pyramid Winery, Canada's largest organic vineyard, for 2 vintages. For multiple consecutive years, he was awarded Best Bottle Fermented Sparkling Wine at the Okanagan Wine Festival, for wines made at Hawthorne Mountain and Summerhill. He moved to Nova Scotia where is wife is from. Once here he raised the profile of Nova Scotia wines to a new height. Curt helps out his home town and they named The Salvation Army Curt Garland Community Support Centre after him. 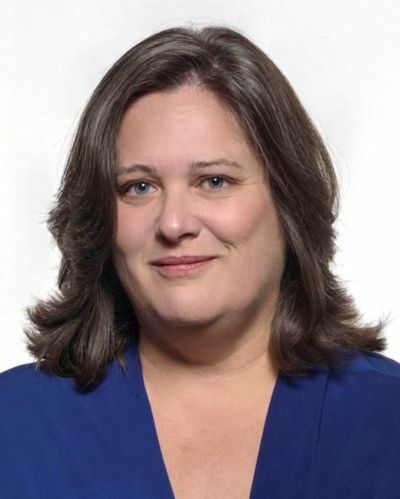 Stéphanie Beaudoin was born in Montréal in 1969. Well known in the world of visual arts, she holds a Master's Degree in Art History. In 1996, she directed her first short film that was presented throughout Canada at Famous Players cinemas. In 1998, Stéphanie met François Pouliot and joined him in what would become a fascinating team venture. With her vision, energy, and unflagging attention to detail, she helped commercialize the product line and develop the company's branding. In 2005, she was awarded the “Women's International Entrepreneurship” first prize by the Québec Business Women's Network . She is Co-owner of La Face Cachée de la Pomme along with François Pouliot. In 2007, the Fundacion de la sidra in Spain recognized them for their contribution to the development of ice cider and for introducing it to the market in Québec and the rest of the world. The family estate has received over 90 international awards. As for Neige, this product is now enjoyed in more than 20 countries including Canada, France, England, Spain and the United States. Paul-Andre Bosc president of Château des Charmes a graduate of the University of Toronto. 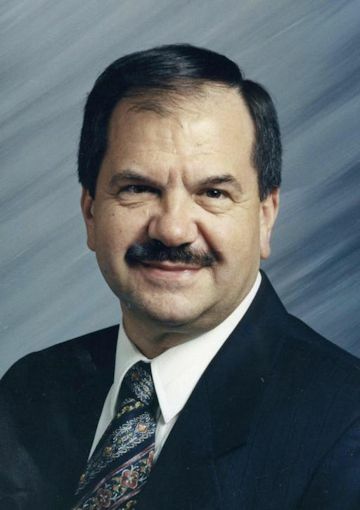 He is very active in wine industry affairs and in the economic and cultural development of the Niagara Peninsula. He is the past chair of the Canadian Vintners Association (CVA), the Canadian wine industry's national trade association. Paul is a recipient of the Distinguished Service Award from the Easter Seals Society of Ontario and the LCBO VQA Excellence Award. But at home he is simply dad to young son Alex. 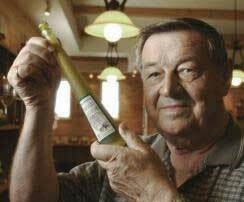 John Howard, a noted Niagara wine industry leader bought Vineland in 93 He helped mke the winery into one of Ontario's best; he grew production from 2,000 to over 50,000 cases. He sold it 2004. He re entered the wine industry with John Howard Cellars of Distinction, which launched a line of cheeky and successful winescalled Megalomaniac. He buillt the Megalomaniac Winery. The winery located in Vineland has 110 acres. Part of the proceeds go to the Kids Health Link Foundation, which provides computers for children in hospitals so they can stay connected to family and friends.Recently, he scooped up partial ownership of Chateau Pontet, a winery in the small town of Saint Emilion, France. 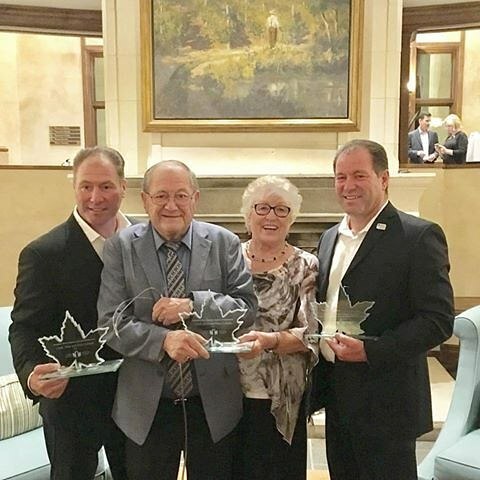 Howard was recognized with a lifetime achievement award at the annual Niagara Entrepreneur of the Year Awards in Niagara Falls. Christine Leroux is one of the most sought after winemaking consultants in Canada. trained in France, consults to wineries including Rustic Roots, Quinta Ferreira, Oliver Twist, Thornhaven, and now, 40 Knots. Christine is also a wine educator, teaching oenology at Okanagan College as a component of the assistant winemaker program where she guides new and young winemakers. Judie Barta founded Meadow Vista Honey Winery in 2009. Judith is an innovative thinker and pioneering entrepreneur with 20 years of experience in the wellness and wine industries. She is recognized among colleagues and in the media for spearheading entry into new categories, identifying key business drivers and developing new marketing and distribution models designed to drive sales, profit and market-share growth. Judie built a strong track record of successfully creating strong brands from the ground up and excels under pressure. She is a BC VQA judge. Judie is often referred to as the Queen Bee. Sandra Oldfield grew up in Marin and Sonoma counties in California. She received her bachelor of arts in business administration with a focus in international business. After graduation, Sandra chose to work in the tasting room at Rodney Strong Vineyards while she decided what she wanted to pursue with her degree. After a year of working in the tasting room, a position came up in the cellar for a lab person. It was then that she realized that she preferred working on the production side of the wine business. While attending UC Davis, Sandra met Kenn Oldfield. Kenn had recently purchased the Tinhorn Creek Vineyard and was at UC Davis learning more about vineyard care and practices. Kenn convinced Sandra to get involved and they struck an agreement. Serendipitously Kenn found both his winemaker and a wife. Sandra was excited about the opportunity to get involved in the still young wine industry in British Columbia and was very optimistic about the region's ability to produce great quality wines. In 1995 Sandra moved to Oliver from Santa Rosa, California. I packed my ‘66 Mustang and drove across the border to a new life, full of excitement and hope – including the hope that my car wouldn't break down somewhere in Washington. Sandra firmly believes that the wine is made in the vineyard and the winemaker just babysits the wine until it goes into the bottle. For this reason, she strongly supports a winery being an estate winery because of the full control they have over vineyards. In 2016 CEO Sandra Oldfield named as a Top 100 award winner in the Sun Life Financial Trailblazers & Trendsetters category of the Women’s Executive Network’s (WXN) 2016 Canada’s Most Powerful Women. David Johnston is co owner and winemaker of Featherstone Estate winery in Vineland Ontario. Louise Engel is his partner and wife. David and Louise purchased their vineyard in 1999. In 2003 David was names Grape King and the winery Vineyard of the year. Their wines have won more awards than we can list. In 2015 Joy 2011won the Sparking wine of Year award at the Canadian Championships. The 2014Black Sheep Riesling won a double gold. Jens Gemmrich winemaker, grape grower and winery owner. Frogpond Farm was the first certified organic winery in Ontario. Jens wanted to Organic from the very start of his winery the idea was not popular then. It is now. Bruce Nicholson winemaker was born and raised in Ontario’s leading wine region, the Niagara Peninsula, Nicholson was intrigued by the winemaking industry from an early age. Sciences at Ontario’s Ryerson University and University of Windsor, Nicholson apprenticed in winemaking in Niagara before heading out to Western Canada. 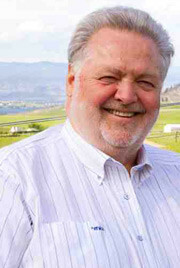 Nicholson was selected to lead Jackson-Triggs Okanagan Winery in 1993, and has since been credited for creating its award-winning Okanagan VQA wines. He has gained considerable recognition in the international wine world. He returned to his home town of Niagara Falls as the Senior Winemaker of Inniskillin Wines. He continues to capture the world attension for his wines and Icewines. 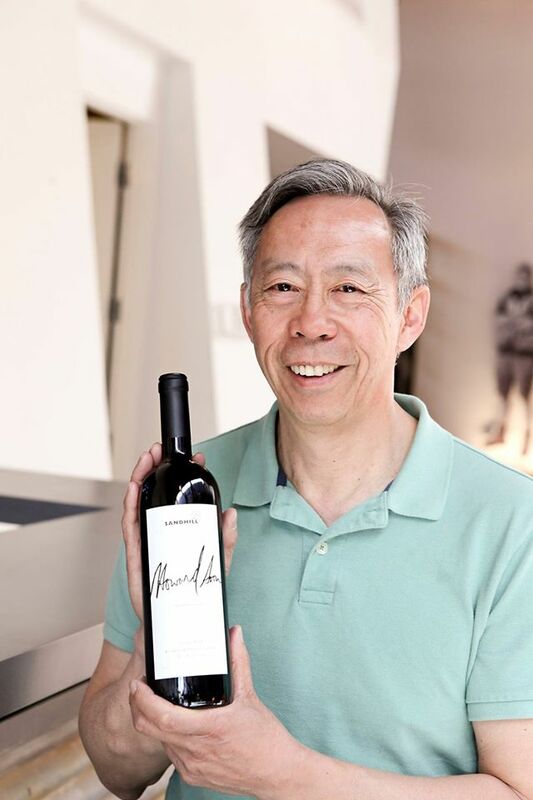 Howard Soon winemaker: was born in 1952 in Vancouver, the grandson of a shopkeeper who emigrated from southern China in the 1880s. 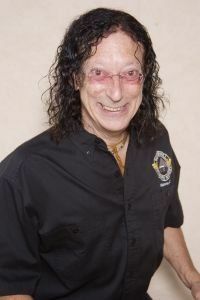 Howard graduated in biochemistry from the University of British Columbia in 1974. 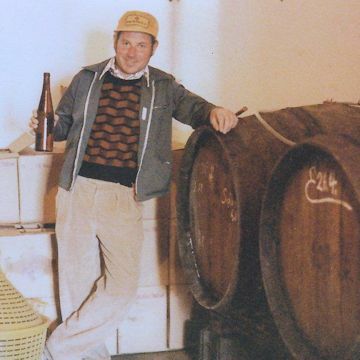 After five years in the brewing industry, he joined Calona in 1980 as a quality control supervisor, became assistant winemaker in 1981 and subsequently was promoted to chief winemaker. Howard is perhaps the longest serving winemaker in Canada - amassing an incredible 37 consecutive vintages. He has been the winemaker for Sandhill Wines since that winery’s inception in 1997. Sandhill stands apart from most British Columbia wineries because it is dedicated to making single vineyard wines exclusively. The BC wine industry gave Howard the Founder's Award in 1998. In 2015, he received the Vancouver Wine Festival’s 'Spirited Industry Professional' in 2015. Since 2004 Sandhill Wines have won about 100 gold or double gold medals in regional, national and international competitions. This includes nine Lieutenant Governor’s Award of Excellence. In Sept 2017 Howard became head winemaker at Vanessa Vineyards, near Cawston in BC's Similkameen Valley. Congratulations to Brian Schmidt, Lloyd Schmidt, Helen Schmidt and Allan Schmidt for receiving the Award of Distinction! Representing three generations advancing Canada's wine industry. LLoyds father Schmidt, Frank (1913-1979):An early Okanagan grape grower. Have we missed someone who should be listed on this page if so please let us know, we would appreciate any information and photographs you may have. This page is a work in progress.